1. 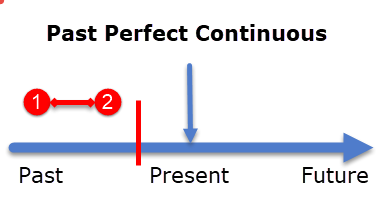 We use the Past Perfect Continuous for an action which started in the past continued up to another point of time in the past. I had been waiting (1) for Susan for two hours when she arrived(2). 2. 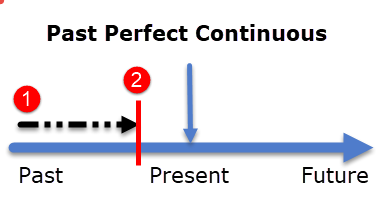 The cause or connection between two past actions. The pavement was (2) wet, it had been raining (1). I was thirsty (2) because I had been working (1) in the sun all day.